After getting done dirty by LeBron James last offseason and winning only 19 games in the Post-Bron Era, the Cleveland Cavaliers beat the odds and won the NBA Draft Lottery and, if you believe the multitude of mock drafts out there, the rights to point guard Kyrie Irving. Oddly enough, the Cavaliers, coming in with the second-best chance to win (19.9%) with their own pick, actually won with the Los Angeles Clippers (2.8%) draft pick. The Cavs acquired this pick with the trade of Mo Williams to the Los Angeles Clippers for Baron Davis. This immediately brings up two questions - why didn't the Clippers protect the pick and why didn't the Clippers protect the pick? Top NFL prospects not to show at the NFL Draft? It's being reported that the top NFL prospects for the 2011 NFL Draft are being told by the NFLPA (yeah, sure, they're decertified and not working as a group anymore) to not show up at next month's draft at Radio City Music Hall in New York. The union is suggesting that the draft prospects partake in another activity that it seems would be run by the union and would give a similar experience that being at the NFL Draft would give. Understand that in the battle between the owners and players, I consider the owners more in the wrong, but is the NFLPA serious? Click to continue reading Top NFL prospects not to show at the NFL Draft? Nobody cared about who would go first. 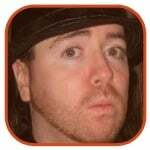 Few more care about whether the Sedin’s would be split up. What everybody wanting to know going into the NHL All-Star Draft was who would be left sitting alone on the floor before being the final “pick” of the draft. 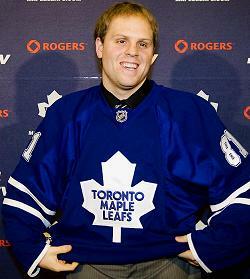 The inaugural honors went to Phil Kessel of the Toronto Maple Leafs. The humiliation of the title is being abated by a $20,000 donation to charity in his name and a new car for the Leafs’ forward. 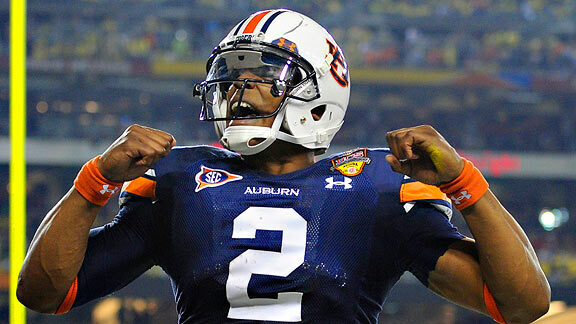 Cam Newton, quarterback of the Auburn Tigers, has decided to forego his senior season and declare for the 2011 NFL Draft. Newton had a big junior season at Auburn, leading the Tigers to a national championship, as well as college football's top individual prize, the Heisman Trophy. Newton is a versatile quarterback that could both throw and run the bell at a high level. However, production in college doesn't always translate to the NFL, but Newton has a good shot because he also has the physical tools to succeed right away. However, will the pay for play controversy that hit him this past season be a detriment to his draft spot? Time will tell. 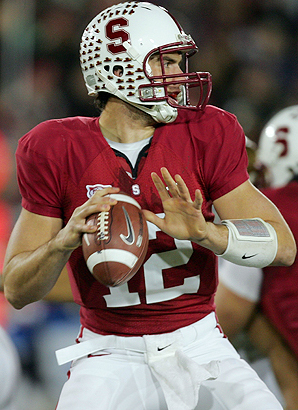 Stanford quarterback and projected first overall pick in the 2011 NFL Draft has decided to return to school at Stanford. This news is especially bad for the Carolina Panthers who own the number one pick in the draft and mentioned that they would take Luck should he come out. Luckily, they already have a young quarterback in rookie Jimmy Clausen who probably just needs more reps before filling his promise. In the end, this might work out well for the team, although the fanbase had to be expecting Luck to take snaps under center in 2011. The MLB Rule 5 Draft is a peculiar thing. Teams choose to not offer contracts to some of their free agents, saying they need to keep room on their 40-man rosters for the Rule 5 Draft, and then on draft day, they don’t fill up the empty slots, claiming they need to keep a few positions open to sign free agents before Spring Training. Thursday saw this year’s draft come and go to close the Winter Meetings, and as usual, nobody noticed. Chris Sale has become the fastest player to go from a draft to the major leagues since Ryan Wagner in 2003. 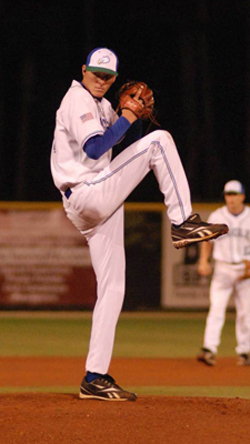 The Chicago White Sox picked Sale 13th overall in the 2010 MLB Draft then signed him quickly, despite reservations from teams with higher selections that Sale might be a tough sign. He started in high A-Winston Salem and moved quickly through to triple-A Charlotte before getting the call to Chicago’s South Side before Wednesday’s game against the Tigers. Bryce Harper, a 17-year-old college outfielder was taken as the first-overall pick by the Washington Nationals. The last overall pick belonged to the New York Yankees, who took college junior catcher James Rice. After three days, 50 rounds, and 1,525 picks, the 2010 MLB Draft is finally complete. Despite the fact that there are only as many as 750 players on major league rosters at a time (1,200 when teams expand in Sept.), drafting over 1,500 players every year is far from overkill for this sport. 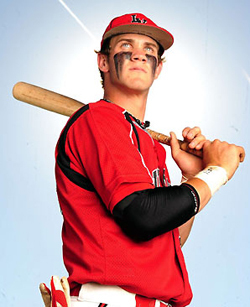 As many thought would happen, the Washington Nationals selected baseball phenom Bryce Harper with the first pick of the 2010 MLB Amateur Draft. Harper has been highly-touted since last year thanks to his prodigious power and lightning-quick bat speed. 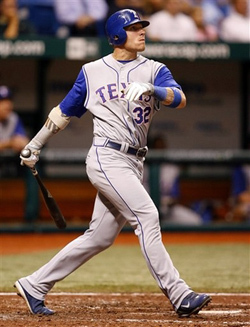 He played mostly catcher in his baseball career, as well as pitched, but the Nats will use Harper as an outfielder in right field, in order to utilize his athleticism and strong arm. The 17-year-old, 6-foot-3, 205 pound also known as “Baseball’s Chosen One” according to a Sports Illustrated cover last year is represented by Scott Boras who also repped last year’s first overall pick, Stephen Strasburg, with the very same Nats team. The Nats faithful are hoping both players will lead the charge in turning things around for the organization and if they can live up to both their hype and upside, that time will come.